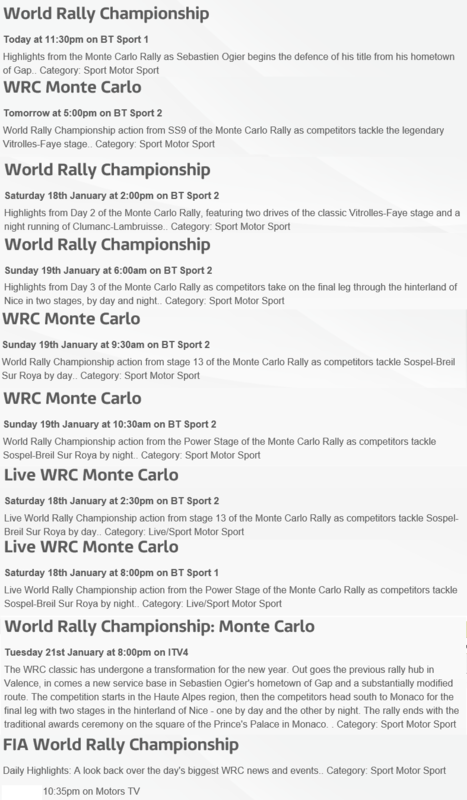 The WRC TV coverage for 2014 has exploded, and the first round in Monte Carlo will be available to watch of 3 channels. ITV4, MotorsTV & BTSport. Broad cast times below. For more times and repeated showings, visit the channels websites. 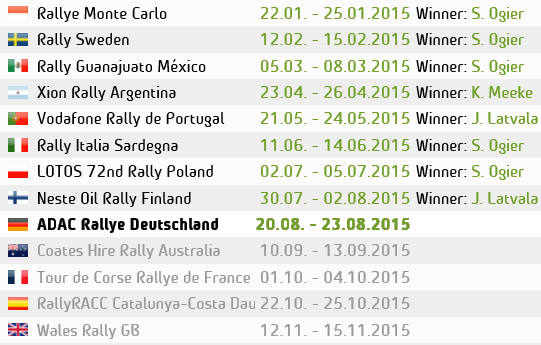 This entry was posted in WRC and tagged BTSport, ITV, ITV4, Monte carlo, MotorsTV, rally, TV, WRC. Bookmark the permalink.